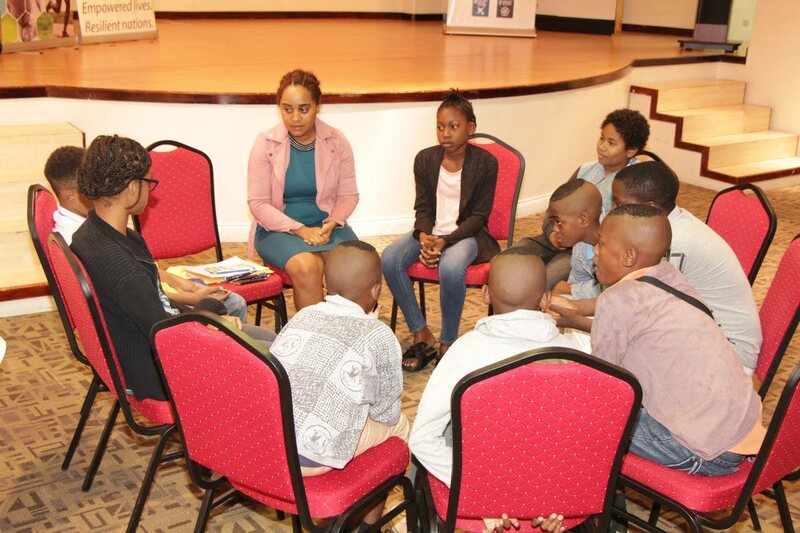 Children from Tobago West participate in a focus group discussion on poverty in Tobago conducted by the United Nations Development Programme (UNDP) in collaboration with the Health Division. Talking about poverty and sharing experiences provide a good opportunity to combat this social challenge, says Secretary of Health, Dr Agatha Carrington. Speaking at two days of focus group discussions on poverty in Tobago conducted by the United Nations Development Programme (UNDP) in collaboration with the Health Division on August 13-14 at the Anne Mitchell Gift Auditorium of the Scarborough Library Facility and at the Roxborough Secondary School respectively, Carrington said the sessions provide the opportunity to design programmes and services “to impact our population in a more focused way. “The Division has been reshaped to focus on the family, so we have strategically placed our social workers in the community to better serve our population,” she said. She said the “rich data” generated from the focus group discussions will directly impact the Division’s work, especially its interventions in Tobago’s communities. Carrington noted that Trinidad and Tobago were signatories to the United Nations’ Sustainable Development Goals (SDGs) and the Tobago House of Assembly remains committed to support any initiative that seeks to achieve any of these goals. Soliman said the focus group discussions will support the UNDP’s project, “Toward a National Measurement of Multi-dimensional Poverty,” which is being done in collaboration with the United Nations Children’s Fund (UNICEF). He said this project will inform the development of a National Poverty Reduction Strategy (NPRS) for Trinidad and Tobago. Soliman also pointed to the importance of capturing information from children. “From our experience at UNDP, it is widely recognised that children experience poverty differently from adults and are more severely affected as their survival and long-term development are impacted,” he said. Reply to "Poverty talks to help design programmes TT"